If we are going to “practice” in the real estate world, we need to practice well, not malpractice. “Mal” is a “combing form,” one that is added to words. It comes from the French “mal,” and that came from the Latin “male” which meant “badly.” [We sure hope the word is pronounced differently than is the gender.] The bottom line, however, is that “malpractice” is practicing in a faulty or improper or inadequate manner. No reader of this blog wants to come within a million miles of anything “mal” in her or his practice. So, we need to know that we don’t know the law everyplace. One example is how various jurisdictions view liability waivers. Today, we write only about one aspect of that question – whether to effectively be released from one’s own negligence, a waiver must expressly say that “negligence” is being waived or whether waiving “all” claims for damage really means “all,” including those claims arising out of negligence. Fortunately for the people involved in today’s story, despite the role of “negligence” in this story, the situation didn’t go “mal.” The people we are speaking about are the ones who created a North Carolina landlord’s lease form. However, it took a train stopping at the following stations to reach that conclusion: trial court, appellate court, and state supreme court. That’s a heck of an expensive ride, one that likely wouldn’t have been needed at all had the word “negligence” appeared within a very common lease clause. Perhaps, it was negligence to leave it out. Hopefully, at least from now on, every reader of Ruminations will be including it in their waiver of liability provisions. Tenant’s Neglect. Subject to the provisions set forth in the following sentence, Tenant shall pay for the cost of any repairs or damage resulting from the negligence or the wrongful acts of his employees, representatives or visitors. However, and notwithstanding any other provision of this lease to the contrary, Landlord and Tenant and all parties claiming under them agree and discharge each other from all claims and liabilities arising from or caused by any hazard covered by insurance on the leased premises, or covered by insurance in connection with the property owned or activities conducted on the leased premises, regardless of the cause of the damage or loss, provided that such cause does not prevent payment of insurance proceeds to Landlord under the provisions of the applicable policy. Tenant shall maintain insurance in accordance with the provisions of subparagraphs (a) and (b) of this paragraph, and Tenant shall indemnify Landlord in accordance with the provisions of sub-paragraph (c). (a) Property Insurance: Tenant shall hold Landlord harmless for loss or damage by fire with regard to all of Tenant’s furniture, fixtures, and equipment about or within the leased premises. (b) Liability Insurance: Tenant shall provide and keep in force for the protection of the general public and Landlord liability insurance against claims for bodily injury or death upon or near the leased premises and the sidewalks, streets and service and parking areas adjacent thereto to the extent of not less than $500,000.00 in respect to bodily injuries or death to any one person and the extent of not less than $500,000.00 for bodily injuries or death to any number of persons arising out of one accident or disaster, and property damage with limits of not less than $100,000.00. The Tenant shall furnish Landlord with satisfactory evidence of such insurance within thirty (30) days of execution of this lease. No, we didn’t leave out sub-paragraph (c). The lease did. Look again at the liability release provision. It only says that the tenant will pay for repair costs resulting from its own negligence. There is no reciprocal obligation imposed on the landlord. It purports to bind non-party persons and entities to a liability waiver by including “all parties claiming under the landlord or the tenant.” It applies only to claims or hazards covered by insurance. It only covers causes that don’t prevent payment to the landlord under its insurance policies. But, never mind those observations. We aren’t going to crawl over those aspects of the provision. Instead, let’s pay attention to the core issue in dispute. Focus on this part of the text: “… and discharge each other from all claims and liabilities arising from or caused by any hazard covered by insurance ….” As one would see by reading the decision issued by the Supreme Court of North Carolina, the quoted portion raised two questions. First, does “all” mean all? Second, what is it that would need to be covered by insurance? North Carolina is a “look for the intent state,” or so said its Supreme Court in the decision involving this pasta factory. [You can see for yourself if you look at the decision you’ll see by clicking: HERE.] Let us amend that sentence to say that it is what the majority held in that decision. If you think that the liability waiver language quoted above is unambiguous, then you need not look beyond the paragraph within which it is written. But, if you believe that the liability waiver provision is ambiguous, you can search for the party’s “intent” to resolve the ambiguity. We’ve written about that many, many times. For an explanation of how that “ambiguous” stuff works, look for the word “ambiguous” using this blog site’s search function. We don’t think the majority writing for the Supreme Court was as sure of its holding as it said it was. Its decision is kind of “all” over the place, and much of it argues with a cogently written dissent by one of the judges. Nonetheless, at least for this particular lease dispute, “all” meant “all” and that included a waiver of claims for the landlord’s negligence. So, what was the argument about? First, Paragraph 8(a), the insurance provision, also includes a waiver of the tenant’s claims against the landlord for property damage. And, Paragraph 8(a) is subject to the words in Paragraph 8(c). But, there is no Paragraph 8(c) despite the lease saying there was one. Next, the limitation of the waiver is to the extent of what is covered by insurance. Did this mean only of the required insurance or of the coverage actually carried by a party even if not required by the lease? More importantly, did it mean just to the extent there was coverage, in this case, up to one million dollars? Now, here’s what few of us even were thinking. 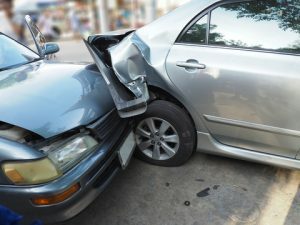 According to the court, the “all claims and liabilities arising from or caused by any hazard covered by insurance on the leased premises, or covered by insurance in connection” text meant a waiver of claims for hazards covered by insurance, not for liabilities covered by insurance. Admittedly, we think the court got that right. So, there are a whole bunch of lessons here. A simple one is that if you promise a Paragraph 8(c), provide it. Second, pay attention to what words other words modify. Parse carefully; repeat modifiers if needed for clarity. Look at this: “… and neither party will have any liability or further obligation to the other.” It could have said: “… and neither party will have any further obligation or liability to the other.” That would let the parties fight over what “further” modifies. The big lesson pertains to “know what you are doing.” You can argue that “all” means nothing less than “all” or you can be smart. If you “know” that some courts want to see the word “negligence” in a waiver and that some courts will accept a substitute phrase or set of words and that some courts will look for “intent,” why play the lottery? Waste a few electrons and use the word “negligence” in your waiver language even if you and Ruminations think “all” really, really means “all” and that everyone should get on that bus with us.